/ 2032 – How Hard Do We Fall? 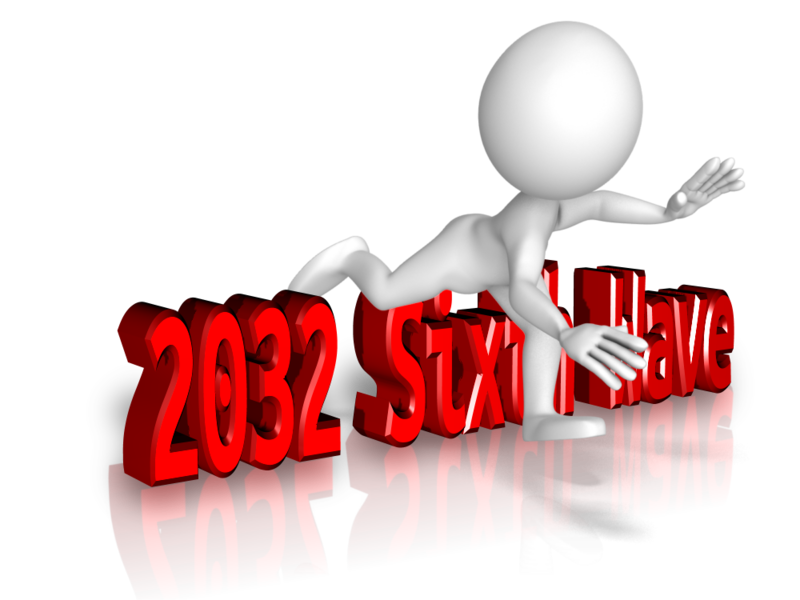 2032 – How Hard Do We Fall? First, I’d like to offer my condolences on your mother’s passing. It feels to me that you must take great satisfaction in the fact that she must have been very proud of your accomplishments, and what you are trying to do for the average person. To me, that is the ultimate goal of a child; in thanking their parents for everything they have done. Concerning the blog entry of “Crash & Burn & The Sixth Wave”, you write that it all depends upon if we begin the process in 2021. My interpretation – having followed you for years now – is that the people must rise up and push back against higher taxation, and demand reform and/or it could hinge on the Euro breaking apart, which provides the path to follow for the rest of us. I believe you meant that if the people just acquiesce and do nothing – like in 2008, then those in power continue to run the economy for their benefit, causing the social fabric to continue to be torn apart between 2021-2032, (which means continued record low birth rates, low productivity, record low levels of capex, record suicide rates, etc) until it finally crumbles by 2032, leading to civil unrest. Have I got this right? Thanks again for everything that you do. ANSWER: We have to understand that this will be the third such sequence of the Sixth Wave. At the end of the first sequence, we have civilization going into a Dark Age. 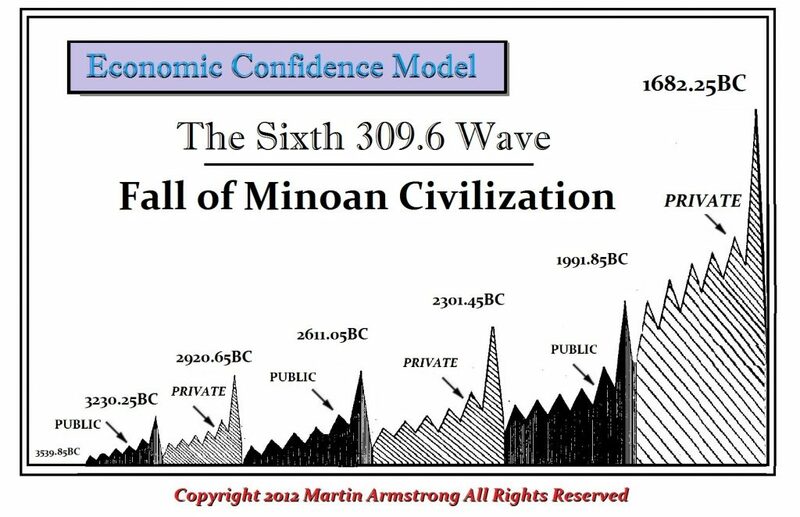 That also coincided with the energy output of the sun declining and the massive volcanic eruption of Thera (Santorini), which ended the Minoan culture. That is when Mycenae invaded as well as the conquest of Troy. The last wave peaked in 175.35 AD, and after that we have the political unrest and collapse into 268 AD. I for one have a personal hope that we can avoid that outcome. In both cases, this is when the energy output of the sun dropped into a cold period where the Greeks became the sea people and migrated back to Africa. The second sequence saw the invasion of the barbarians as they moved south and overthrew the Roman Empire. The wall around Rome was not built until 270 AD. If we keep sticking our finger in a light socket and getting zapped, are we unable to learn from experience? The question in my mind is how hard will we land? This is the cycle, it is NOT my “opinion” and I would prefer to point it out and say we can change the outcome if we understand the causes. There is no stopping the cycle. All I believe we are capable of doing is changing the degree of volatility. This is clearly the end of the West as a world economic power. The financial capital of the world will be shifting to China and Asia after 2032. Even if we look at the hatred poured on Trump, this is indicative of how civilization collapses. It does not matter if you agree or disagree with Trump. This sort of hatred and the personal attacks, especially led by CNN, is so destructive I fear what comes AFTER Trump. There is absolutely NO POSSIBLE WAY that anyone who would really try to help the situation will come to power. CNN has guaranteed that nobody in the right mind would dare to be president. The only person will be a career politician who will NEVER look at the cycle. Instead, they will fill their pockets before they leave office. CNN loved Hillary. The Clintons stole a couch when they left the White House and had to return it. When you go to a hotel you might take all the soaps, but you do not leave with the bed. If we do not realize what is happening, then yes, our own complacency will be our doom. Where Does 2032 Come From?